John McAllister Schofield was born in Gerry, New York on 29 September 1831. He attended the United States Military Academy and was commissioned in the artillery in 1853. Schofield was promoted to first lieutenant in 1855 and then taught natural philosophy and experimental philosophy at the Military Academy from 1855 to 1860. In 1857, he married Harriet Bartlett. In 1860, he left West Point and taught at Washington University in St. Louis for two years. When the Civil War broke out, he served as a captain in the 1st Artillery and as a major in the 1st Missouri Volunteers. By November 1861, he was a brigadier general in the Missouri militia and then a major general of volunteers in 1862. He then successively commanded the Missouri militia, the Army of the Frontier, the 3d Division of the XIV Corps, the Department of the Missouri, and the Department of the Ohio. Schofield commanded the Army of the Ohio at the battles of Kennesaw Mountain and Atlanta and then commanded the XXIII Corps at Franklin and Nashville. Schofield was made a brigadier general in the Regular Army in November 1864, and brevetted major general in March 1865. After the Civil War, Schofield was sent on a confidential mission to Mexico concerning the withdrawal of French troops from Mexico. 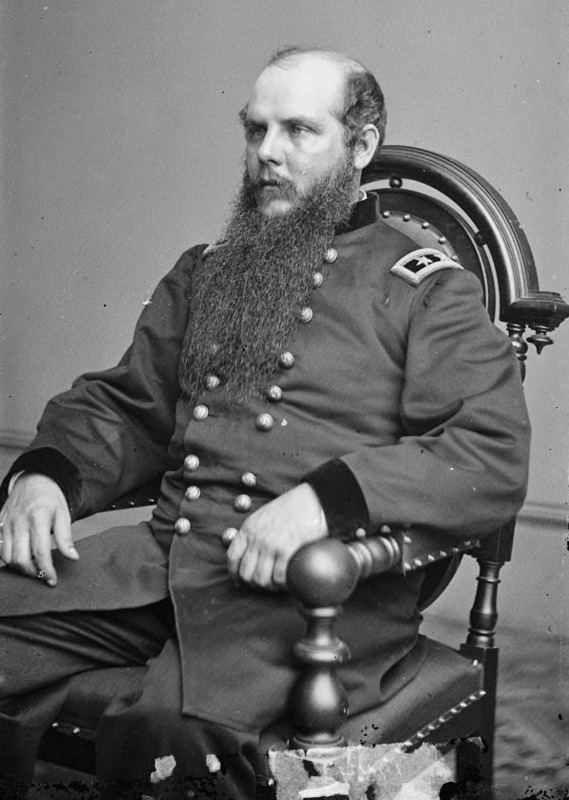 He served briefly as the Secretary of War and was made a permanent major general in March 1869. He traveled to Hawaii to assess the strategic value of the islands in 1872-73. He returned to become the superintendent of the United States Military Academy from 1876 to 1881. In 1891, he married his second wife, Georgia Kilbourne. Schofield became the commanding general of the Army on 14 August 1888 and remained in that position until 29 September 1895. He was instrumental in clarifying lines of authority in the Army, he championed pay raises for noncommissioned officers and initiated efficiency reports on officers. He was promoted to lieutenant general in 1895; later that year he retired from active duty. He died in St. Augustine, Florida on 4 March 1906.